Missouri has 15 Vietnam War soldiers who are considered unaccounted for. A state House committee has unanimously passed a resolution that would urge a federal agency in charge of recovering missing U.S. soldiers to make it a priority to resolve the open Missouri cases. The Defense POW/MIA Accounting Agency’s mission is to fulfill the task of bringing home America’s Prisoners of War and Missing in Action from all past wars and conflicts around the world. 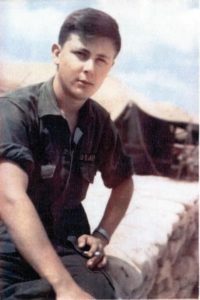 On April 21, 1967, Army Staff Sergeant Paul Hasenbeck of mid-Missouri’s Freeburg vanished while returning from a patrol in the Vietnam jungle. Hasenbeck was with three comrades from the 4th Battalion, 31st Infantry, which was assigned to the 196th Light Infantry Brigade. Jeanie Hasenbeck’s life mission has been to find out what happened to her brother. She says officials at the Pentagon have disputed reports from Vietnamese sources and U.S. intelligence services that Paul had been captured and moved to several different locations by troops who forced him and his companions to teach Viet Cong cadres to speak English. The CIA told her it had no files on her brother at a time when she already had obtained several CIA documents from other sources. She says over the years, the Vietnamese government has released several contradictory account of her brother’s fate. A museum in north Vietnam’s Hanoi once held 13 pieces of Paul Hasenbeck’s personal identification. All of which had his name, rank and unit. The museum had everything marked from the Quang Ngai Province where he had disappeared. “We find it really hard to believe that they (the North Vietnamese) took such meticulous care of all his paperwork, but could not keep track of where he was buried,” says Jeanie Hasenbeck. Gary Kremer was a close friend of Paul Hasenbeck’s. He says America owes Paul. “Paul’s mom went to her grave wondering what happened to her son. I think she looked out over audiences everywhere, still looking for Paul. I hope something can be done while Jeanie, Larry and their siblings are still here,” says Kremer. Norb Plassmeyer also supports the resolution. His brother, Bernard, also of Freeburg, disappeared on September 11, 1970. His plane was shot down during a night mission in Vietnam. During a hearing on the resolution, no one spoke in opposition to Meta Republican state Rep. Tom Hurst’s measure. Steven Neil Bezold, Donald Martin Cramer, William R. Edmondson, Dickie W. Finley, Frederick W. Hess Jr., Charles W. Marik, Carl D. Miller, Dayton W. Ragland, Dwight G. Rickman, Robert P. Rosenback, John W. Seuell, George Craig Smith and Randolph B. Suber.